The time of arrival for installation is a two hour window. Each installation time varies a bit throughout the day so we do our best to estimate the time it will take to complete each job and travel time between installs. We will call you if we are going to be outside of the two hour window. If you do not have the flexibility on time, schedule the first morning appointment of the day. The Technician will typically arrive close to the beginning of the two hour window. Jobs late in the afternoon or evening are the hardest to predict arrival time because the Technician may have had multiple installations or service calls before their last appointment of the day. Traffic throughout the metropolitan areas of California are hard to predict as well. We understand how important time is to all of us and do our very best to be there within the time we committed to you. After you meet your Technician, the first phase of the job will be to go over your order and verify the placement of the equipment you purchased. Together you will walk through your home and go over each area you are getting protected. It is important to ask your Technician any questions you may have about adding additional protection to your original order. The Technician has a lot of knowledge and will be able to help you make decisions on potential upgrades. Many customers decide they want a few extras after they understand all the benefits of each security device. Our installers do have additional security equipment with them. If you want to see what the equipment devices look like and are considering having them installed, ask the Technician to bring the equipment in so you can “touch and feel” before you buy. It is to your benefit to add additional items to be installed at the time of installation because is saves money on installation cost. If you order more equipment in the future, you will be charged for the installation and trip charge. During the first installation appointment, you have already paid for the installation. Installations have a very large range of time it takes to complete each one. A standard wireless security system installation with wireless door sensors, a motion and a key-chain remote can be installed within about a hour and 15 minutes. Very large home security systems can take several days to install. For a quick estimate of time, start with 1.5 hours for a standard wireless security system and 3 hours for a hard wired security system (wires must already be previously installed). This time includes a demo of how to use your new system. If you are having over 20 security or life safety devices installed add 1 hour, over 35 add 2 hours. Example: Wireless security system with 1 additional keypad, 15 door/window sensors, 2 motions, 1 glassbreak, 2 smoke/heat detectors, 1 carbon monoxide and 2 key-chain remotes. Add: 1 bookshelf indoor camera, 3 outdoor cameras, 1 thermostat, 1 lamp module and 1 deadbolt. Total time of installation: Around 6.25 hours. We call this the “Golden 30”. The last 30 minutes of helping you understand how to use your security system. The Technician will teach you the basics of your keypad including how to arm and disarm, the one touch command buttons and the emergency buttons. Your Technician will also go over the use of the ADT Pulse App and the ADT Pulse web portal. You will have access to how-to-use videos that will help you if you forget any steps. A Tip: Have everyone who is going to be using the system daily be there for the demonstration. Download the ADT Pulse App to all the mobile devices you will be using to control your security system. You can do this while the Technician is installing your system. 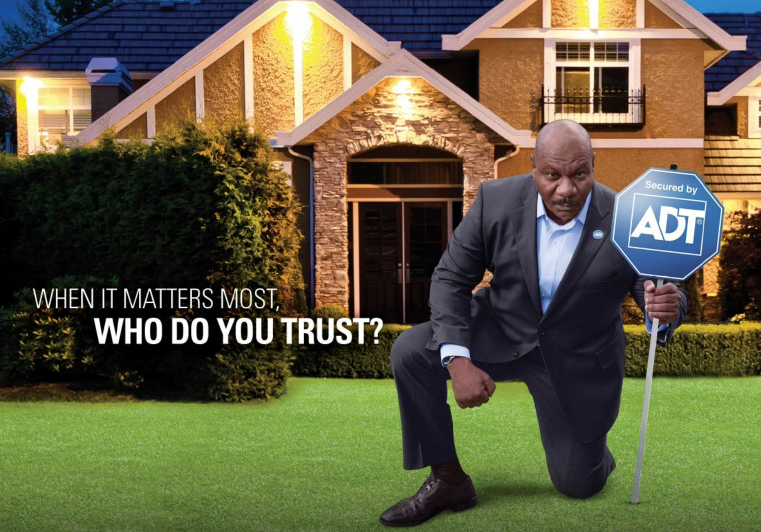 Now once your security system is live, you can open your ADT Pulse App and have the Technician answer any of your questions and help you understand how to use the App. Also, login into your ADT Pulse Web Portal from the computer you will be using to setup your ADT Pulse system. If you are getting Pulse Level 3 with cameras and home automation, it will be good to have the installer help you understand how to schedule events, create automations, setup users, alerts and modes. The web portal is the platform you will use to manage your ADT Pulse security system and it is vital to understand how to use it. The team at California Security Pro will be there after the installation to help you with any of your needs. Your Technician, Security Consultant or our Customer Care Representative will be available for you to call anytime you need help. Make sure to immediately get into the habit of using your security system everyday. At minimum, arm your security system anytime everyone is away for the day and at night once all family members are headed to bed. An unarmed security system is not much better than having no alarm at all. So it is important to start using it right away.